In a city where football is king, one Boise woman is fighting to make mixed martial arts the queen. 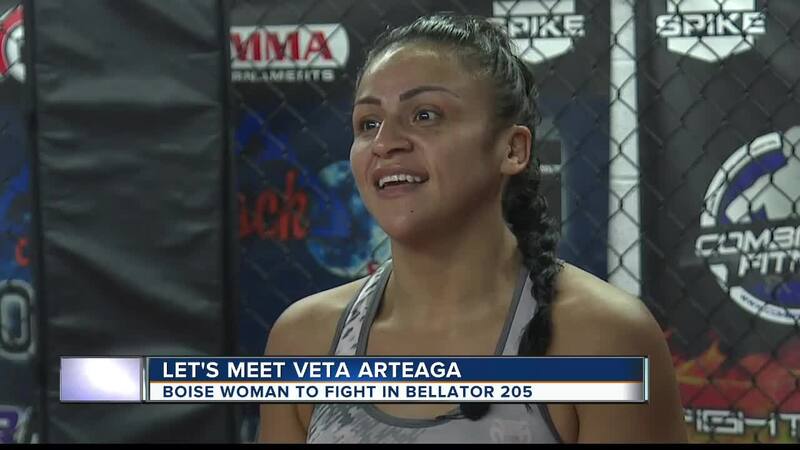 Let's meet Bellator fighter, Veta Arteaga. Born in Rupert, raised in Burly, professional mixed martial artist Veta Arteaga has played sports basically all her life. 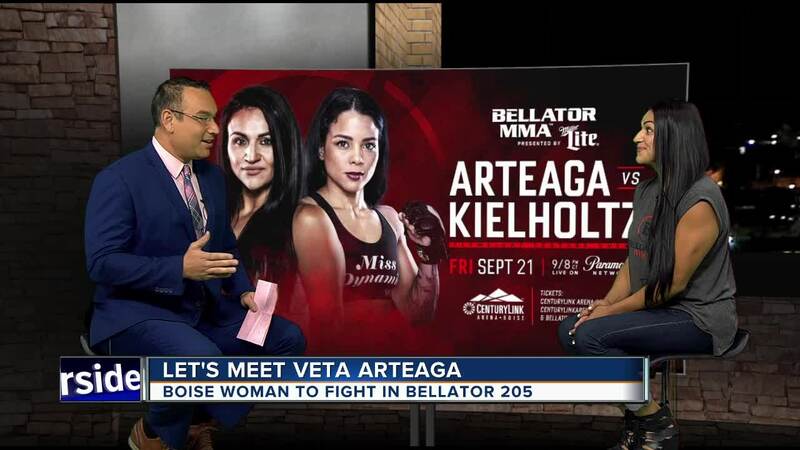 "I played tee ball, I played basketball, in high school I played softball, basketball, junior high I was a cheerleader," said Bellator Professional MMA Fighter Veta Arteaga. But it wasn't until she moved to Boise a decade ago that she discovered her love for fighting in the cage. "I just wanted to do something to keep my body active, just a routine, I was trying to find that, and growing up I always played sports so when I would go watch my brother at first, I was like this is a great opportunity for me to get my workout in, and then I started realizing I was pretty good at this!" said Arteaga. She knew she wanted to do this for a living after her first fight went...well, really well. "My first fight I won by a knockout and I watched my fight and I realized how focused and determined and composed I was and I thought man, I think I could probably do this for a long time," said Arteaga. And that was just the beginning. Veta would go 4-1 during her amateur career before taking the next step. "I figured I might as well get paid to get hit in the face! And so I said let's just go pro. Let's just see what happens, let's see how far this can go," said Arteaga. And it's gone very well so far. She'll go into Friday's fight sporting a 4-2 record. Despite that, it's a profession she says isn't always easy when asked the common question, "So what do you do?" "I just kind of casually bring it up "'Yeah, I'm a professional MMA fighter."' I think it sounds funny. It still feels like it's unreal, like I'm living the dream, like this is what I'm doing full time so I still have a hard time accepting it I guess," said Arteaga. One thing she has accepted? Being an inspiration to women and young girls by showing them they can do whatever they want while still being themselves. "It's ok to be aggressive in the cage, it's ok. Cause I feel like growing up, society wants you to be very soft, and I can be, or nurturing, and I can be and I am all of those things, but I also think that it's ok that I go in there and I'm aggressive and I can be a bully in that moment and it's ok. Like, we're all human," said Arteaga. But no matter where she fights, she's always proud to hear that little phrase during her introduction..."Fighting out of Boise, Idaho." "It's crazy to see MMA growing here in Idaho, especially here in Boise. It's really cool. A lot of people don't even know that I fight out of Boise. They usually think that I'm traveling. I'm like no. But I haven't fought in Boise in over two years so I'm really excited. I'm really looking forward to this fight."